The 4Kscore Test can help reduce the number of unnecessary biopsies, by measuring a man’s risk of having aggressive prostate cancer. Docrates is as the first hospital in the Nordics launching a new 4Kscore bloodtest for a more specific assessment of the risk for getting prostate cancer. 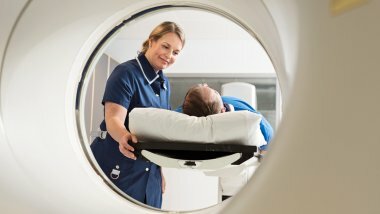 High PSA levels indicate a problem in the prostate and when cancer is suspected, a biopsy is taken to assess the seriousness of the condition. PSA testing does not clearly distinguish between aggressive prostate cancer and less serious conditions. What is the 4Kscore prostate cancer test? 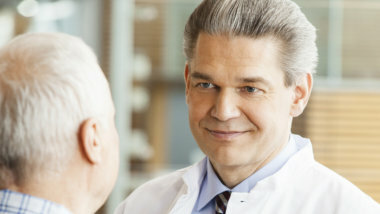 The 4Kscore test can help reduce the number of biopsies by measuring a man’s risk of having aggressive prostate cancer. If that risk is low, a patient may, in consultation with his urologist or physician, decide not to have a prostate biopsy and avoid the associated pain and complications. Why do the 4Kscore test? 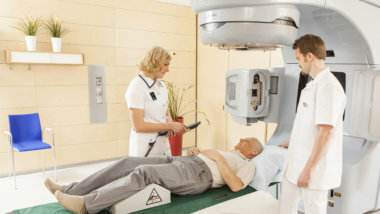 The results from 4Kscore test will indicate whether the patient’s risk of prostate cancer is at a low or a high level. The test results will be analyzed by the patient’s own doctor in combination with other clinical information. Based on this information, the doctor and the patient can together decide on the next steps.